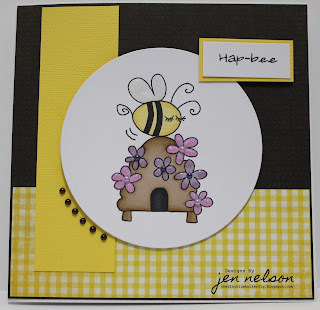 The image is from Pink Petticoats Garden Bugs (currently in the retiring section) and papers are MME (Stella Rose - Gertie). I've coloured it in with promarkers ( tan, caramel, cocoa, buttercup, mustard, blossom, fuchsia, lavender, amethyst and black). 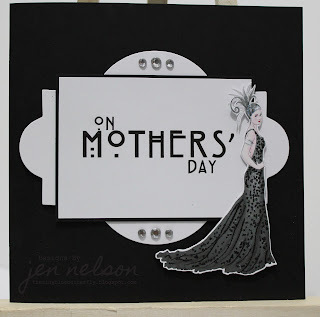 The sentiment is printed from PC and pearls from The Hobby House. It's finished off with glossy accents on the wings and flowers as well as a little glitter. It was a very simple one to make, papers are Pink Petticoat little big dots in Little Fleur's Pink, gem brads from stash and Sentiment (font adorable) printed from PC and cut out with Nesties. Finished off with a little white seam binding from Ribbon Girl. Hope you have all had a good day? 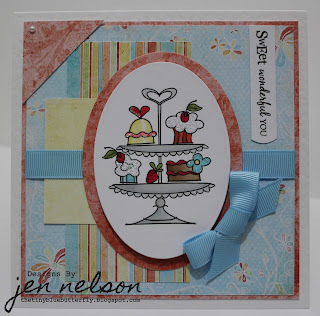 I had a great day yesterday A top 5 @ Cupcake Crafts in last times challenge and a Top 3 @ Sketch n Stash. I really did think I was seeing things. 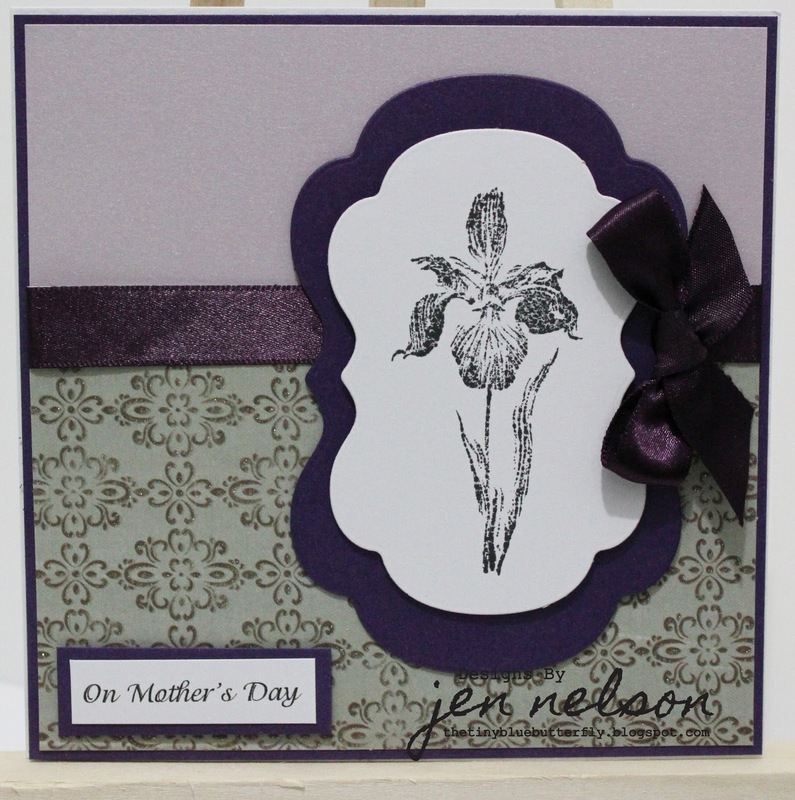 I've got two final Mothers' Day cards to make and this is the first one.... 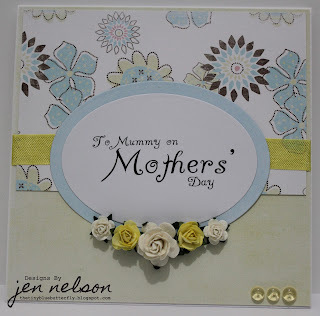 I've taken inspiration from Cupcake Crafts Challenge - Flowers for Mum and I've used Bev's Sketch from this weeks Wild Orchid Crafts Challenge. 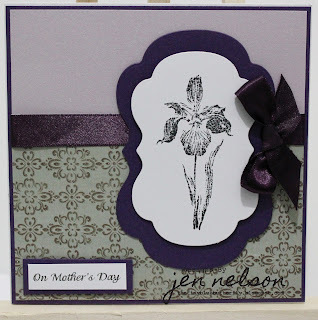 Yes, you are seeing right, I'm actually using flowers on a card lol.... Here it is. There is no image for this one, instead I have made the sentiment the main focus. The papers are Shabby Princess ( bits from scrap box). 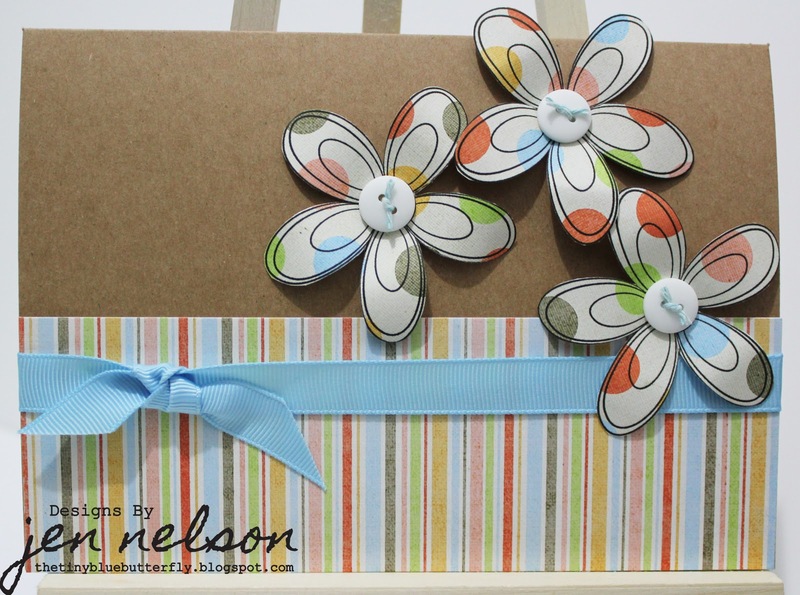 The flowers are from Wild Orchid Crafts and the seam binding (Mimosa) and dew drops are from the Ribbon Girl . 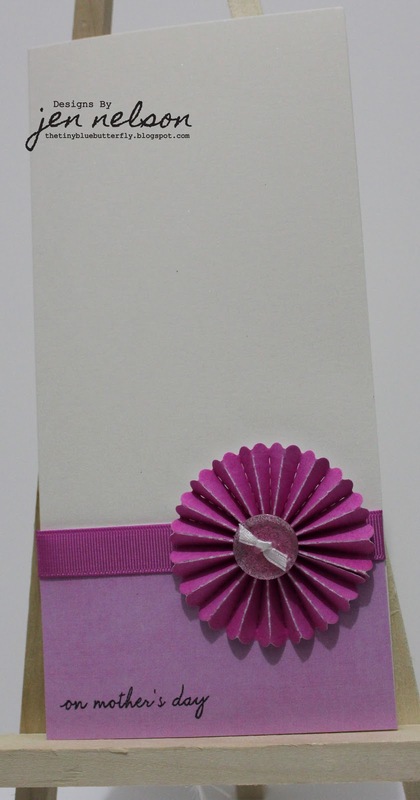 The first used Tim Holtz Sizzix Die Mini Paper Rosette, papers are pink petticoat out of my stash box and ribbon is dove craft. The button is from American Crafts in the sale and the white ribbon recycled from the packaging I get Ribbon Girl orders in!! 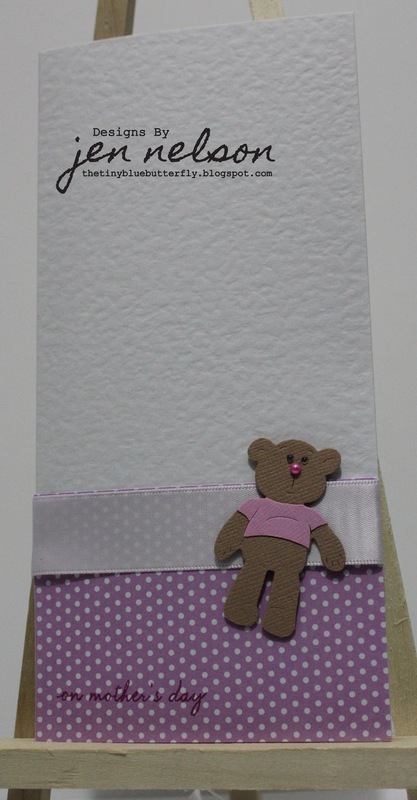 The second is a really old Sizzix/Ellison die and I made up these teddies a while ago. Papers again are pink petticoat from scrap box, pink pearl is from Hobby House and white ribbon is Club green from stash. The third card uses pink petticoat image ( these I had printed off from couple of weeks ago) and pink petticoat paper. The image is coloured in with promarkers ( Blossom, fuchsia pink, pastel blue, denim blue, mulberry). 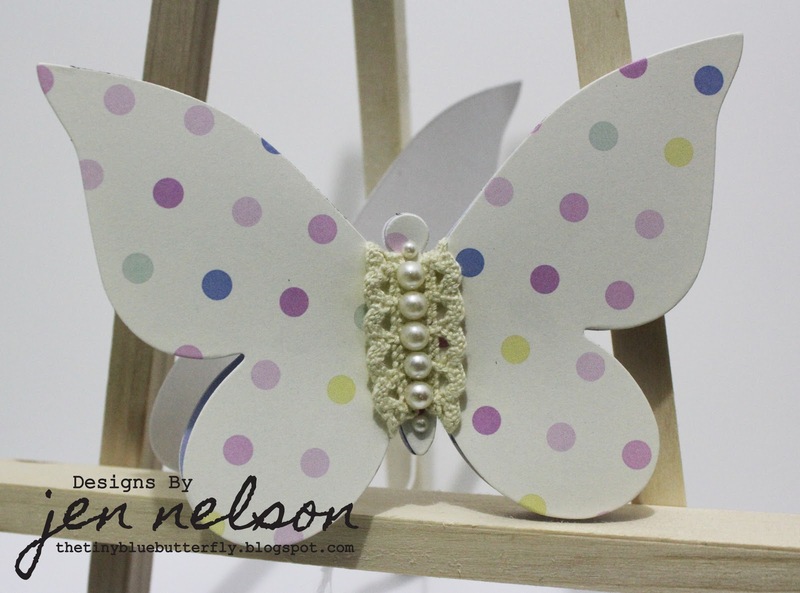 The ribbon is Dove craft and the pearl Hobby House. 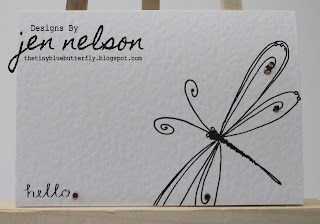 I liked the Butterfly from Less is More so much I did the same with the a Daisy... Papers are Shabby Princess, Image is from Digistamp Boutique, Font is the same as the butterfly. I'm back again with another card.... 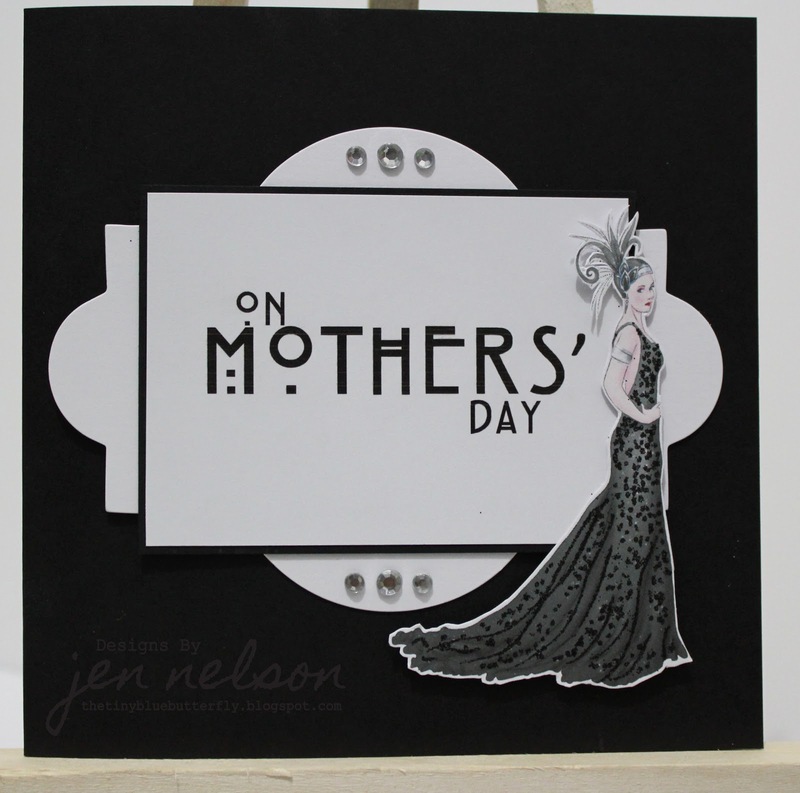 This card is my first Art Deco one and when Jenny at work asked me to do Art Deco I kind of freaked out a little bit as I didn't see this as my sort of thing. Hope you like it. 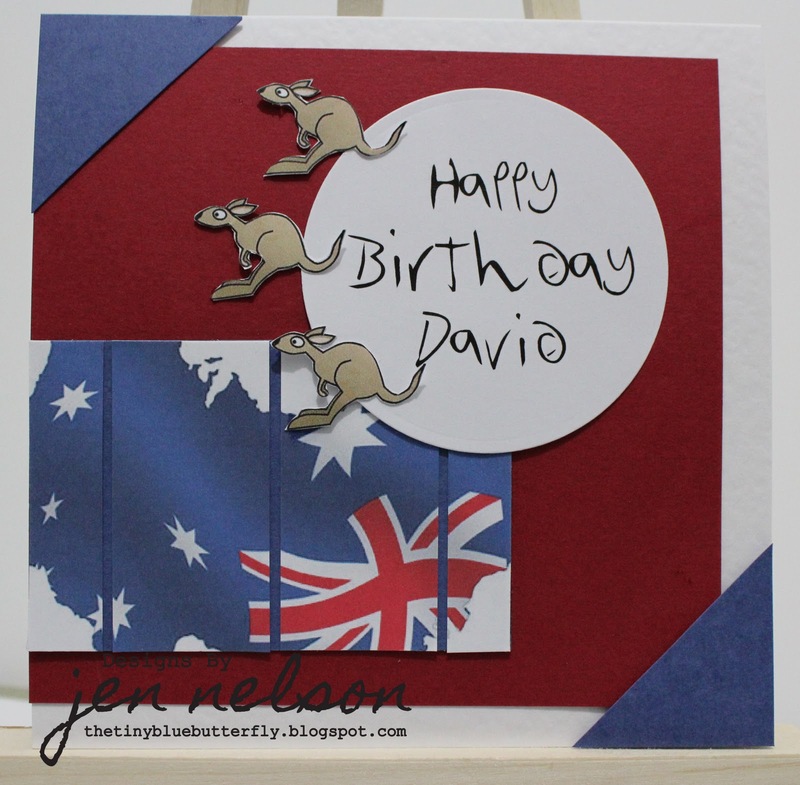 The image is from Debbi Moores CD (Borrowed from Lizy which I know isn't truly crafty ethical but I was desperate lol). 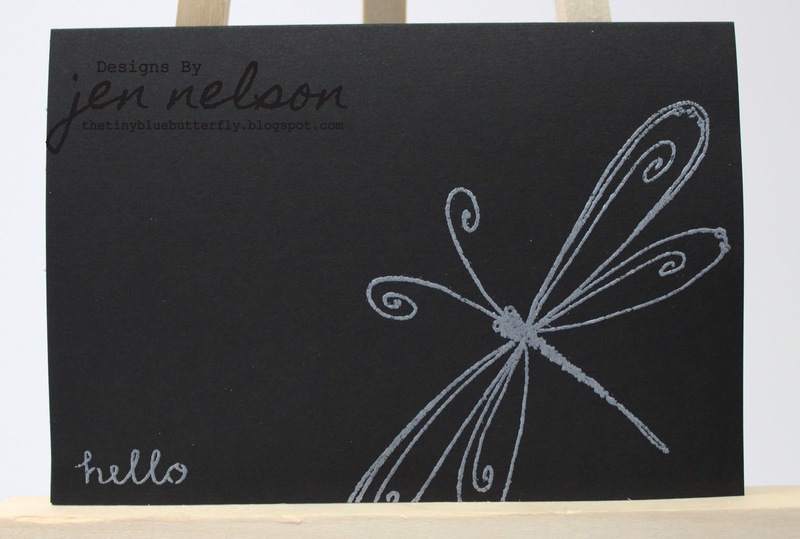 The Frame is from Sizzix ( Bigz Ornate # 3) and the white paper is just printing card. It's finished off with a little bling and some black glitter. Simple but hopefully effective. The font is a Rennie Mackintosh like one called Hill House free from searching for a font. Hope you like it. I'm going to enter it into this weeks DYSU challenge which is Shine. 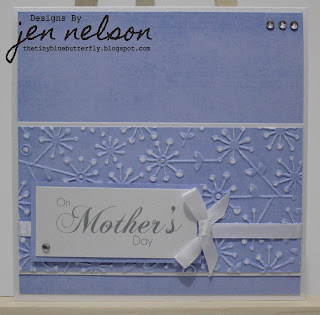 I'm still working on those mother's day cards and this one is inspired by this weeks Penny Black challenge - Recycled. I took this to mean use up my scraps, but the ribbon really is recycled as it's one of those I saved from either a gift bag or a presents wrapping. Here is the card. 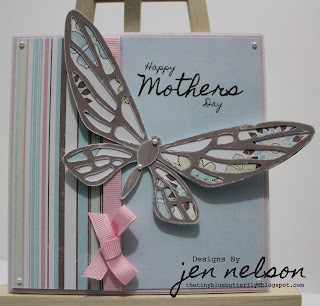 Image is from Penny Blacks Allegro T for Transparent set, Pearlescent paper is from Anna Marie Designs, Label 14 nestie (borrowed from Liz!!). 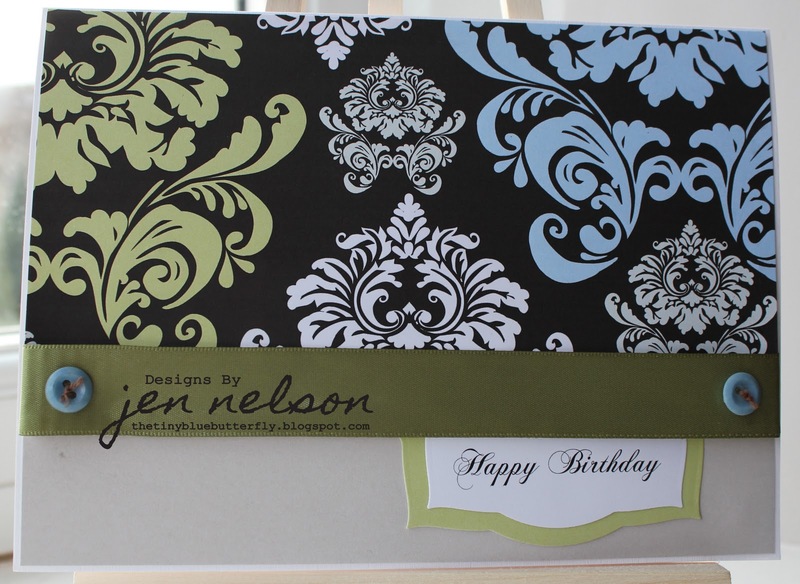 The patterned paper is from First edition desert blooms collection. 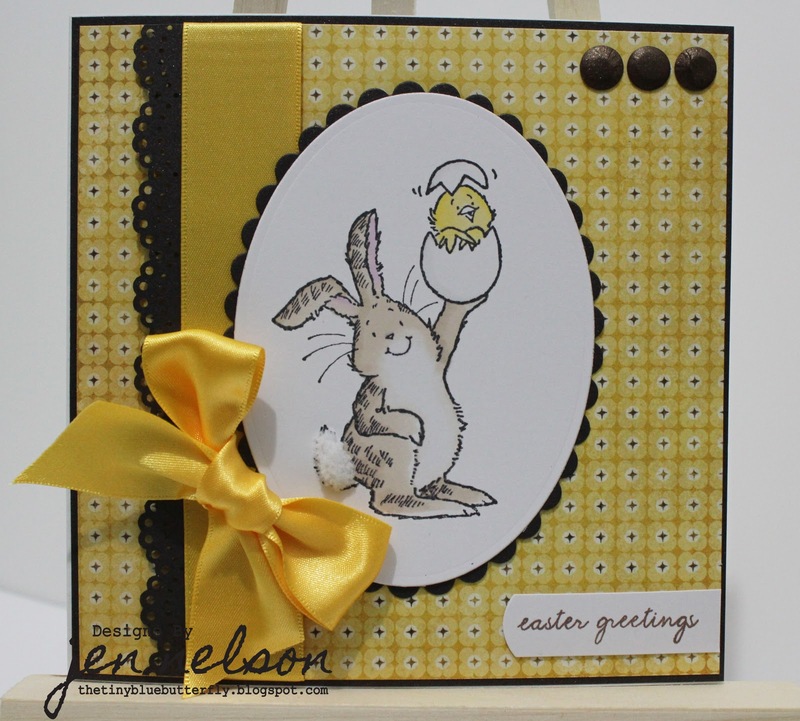 I'm back after a few days off from crafting and my first card has to be this weeks Less is More card as I'm normally more on the ball than this.. I even contemplated making one out of bits and pieces at my BFs flat yesterday but I think he may have objected lol.... Anyhow I'll stop waffling and here is my take on this weeks sketch. 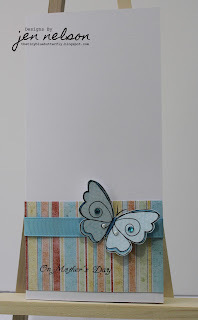 The papers are Shabby Princess Promise Collections and I have used the Stripe and Spotty papers. 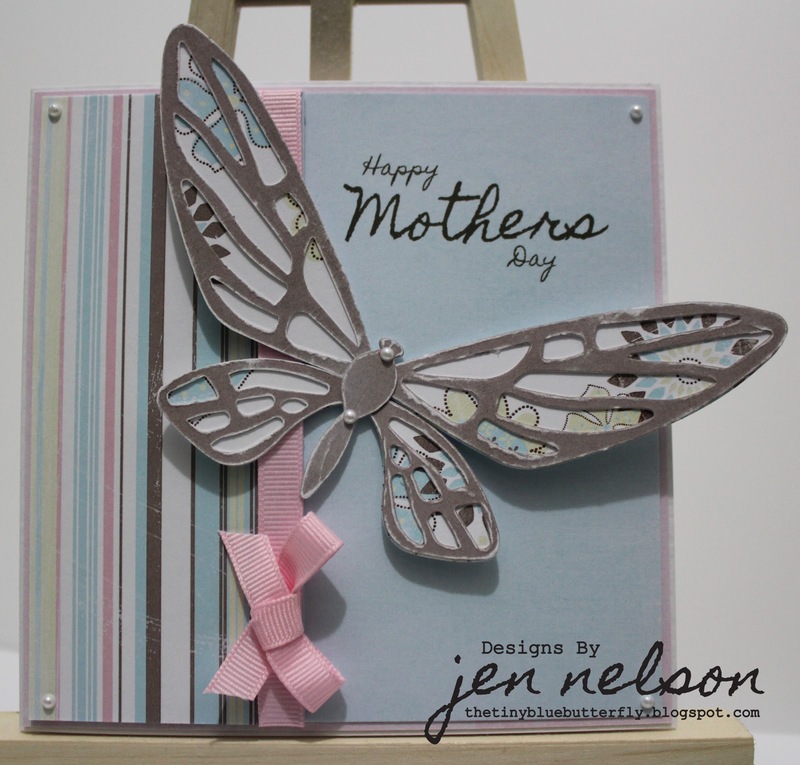 I printed Digistamp Boutiques Butterflies onto the blue spotty paper and then cut it out. It's then finished with gems and pearls from The Hobby House. The Ribbon is Smirk 99p roll. 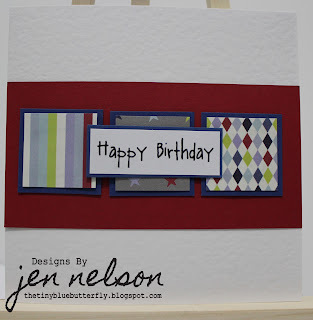 I printed the sentiment onto the striped paper using my PC (Font is A Yummy Apology in italic). Well I feel like I have been away from here for ages, even though my last post was only 3 days ago.....I seem to have lost my creative edge this week, which is a shame since I have loads of new goodies from Harrogate last week. 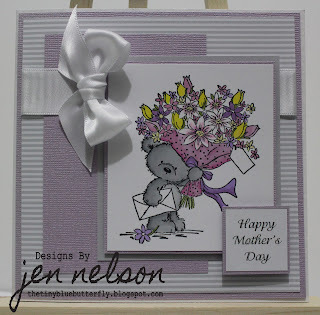 I bought quite a few of the new LOTV stamps and got to chat with the lovely Jacqui and Bev before the hoard came through the doors on Sunday morning after a hectic day on The Craft Bug stall on Saturday so I thought I'd better use one of the images. Here is the card. 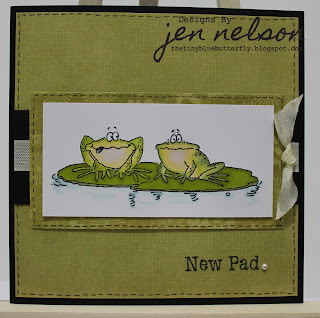 The image I chose to use was the super cute "Leap Frog", which I thought was perfect for such a lovely spring day. I've coloured in the little bunnies with promarkers ( Ice Grey 1, Blossom and Blender) and then cut each of them out. 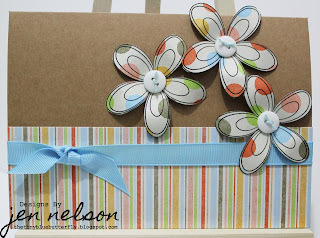 I then stamped the image onto green spotty paper and ocean blue paper ( both from pink petticoat collections) and then paper pieced them all together. I've used a Martha Stewart edge punch and some Green Taffeta ribbon that arrived through my door this morning from the Ribbon Girl ( I think I'll be taking out shares soon). 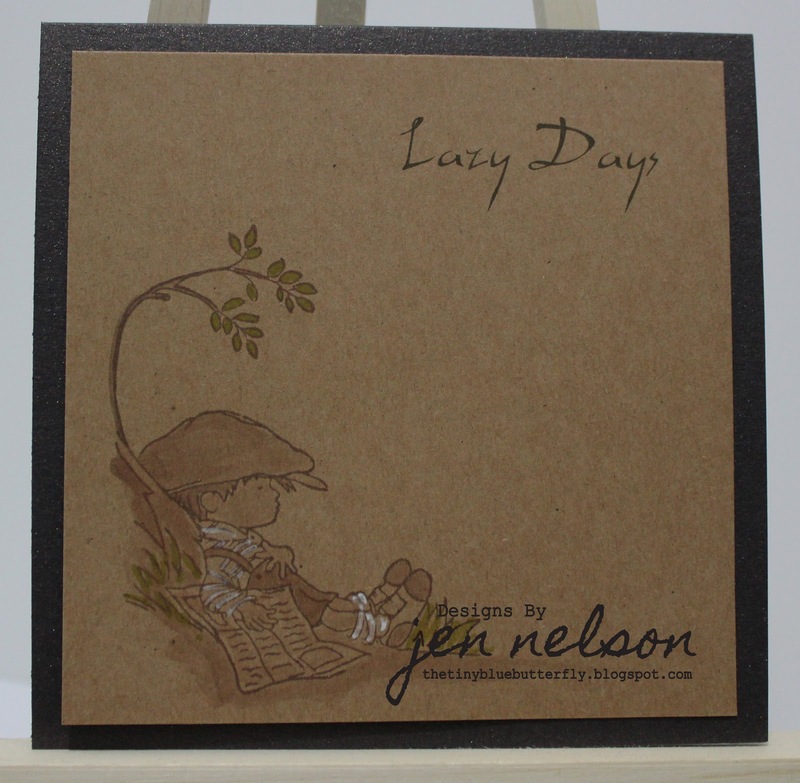 The sentiment is from a penny black transparent set. I'm back with my second card of the night, this time it's a Mothers day card as I'm trying to make enough for all my orders. 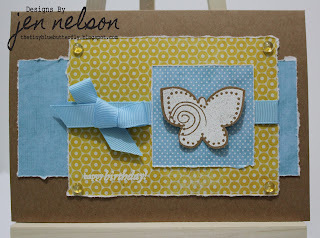 This was inspired by this weeks Crafts and Me Photo with texture challenge. I'm also entering it into this weeks Cupcake Craft Challenge which is Monochromatic. Here is my card. 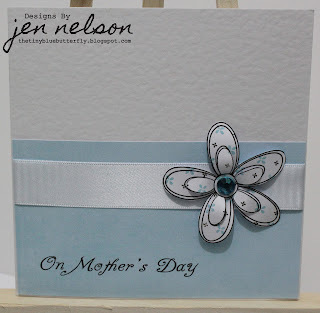 I've printed off the Quartz "Washed Out" paper from Pink Petticoat onto card and then embossed part of it using a folder form Sizzix out of the Flowers & Bowstrings set. I've then lightly sanded over the texture. 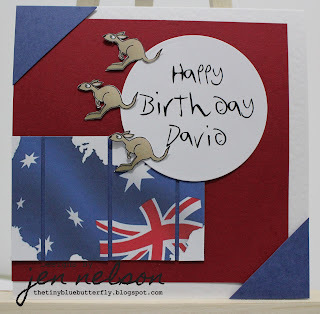 This is mounted on pearlescent card and on more of the quartz colour. I've added some white ribbon and a simple sentiment printed from my PC. its' finished off with a few gems and a bow. Hope you like it, I love this colour (It's the colour of the Big Shot Pro I'm aspiring to get when I finally get into my new craft studio). After spending the weekend at GNPE in Harrogate I was a little behind in checking out the challenges over the weekend, so you can imagine my surprise when I found out I was in the Top 3 for Little Claire's Challenge #2, especially since I had been on the stall back to back with Steve and Gill on Saturday lol. 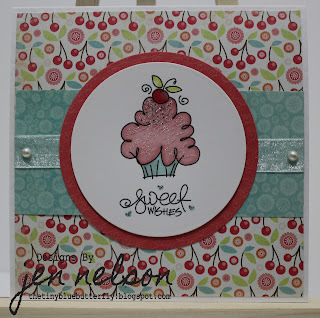 Cupcake Tree is one of my favourite cards... I'm so happy to be chosen. I'm thinking that I must have been reading Mary and Andrea's mind for this months Ribbon Girl Challenge when earlier in the week I ordered the Ribbon Kit in yellow, as it couldn't have been more perfect for the Green & Yellow challenge.. 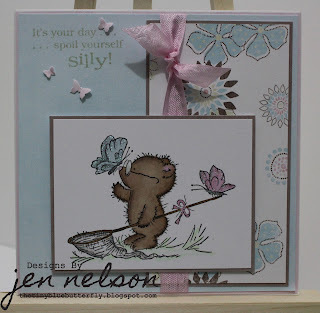 I am also combining this with this weeks Penny Black challenge which is Spring is Sprung, Sketch n Stash #57 Sketch and DYSU #11 - Add a Bow. Here is the card.. 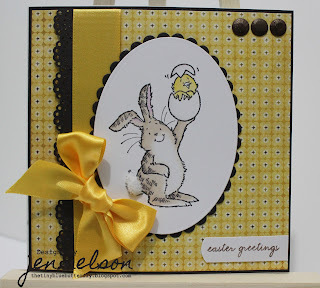 I've been fairly bold on the colour scheme, and I've used some pearlescent chocolate brown paper from Anna Marie Designs and the yellow paper is MME Stella & Rose, and I've use one of the Martha Stewart Border punches as well as some of the yellow ribbon from the kit from the Ribbon Girl. 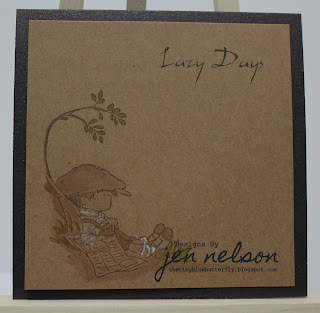 It's finished off with chocolate brown card candy and a simple sentiment from "Tiny Sentiments" by wood ware. I'm off for some food now, but there will be this weeks entry into Less is More and maybe one more later on tonight... for now it's stuffed crust pizza.... yum.. 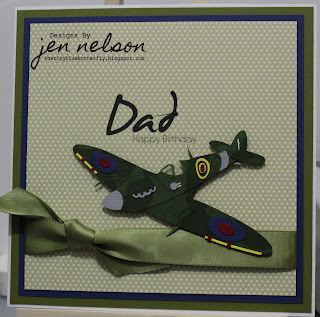 I'm back after a couple of card making free days due to other commitments and now I'm playing catch up on commissions and my blogging.... night of crafting ahead I think before two long days at Harrogate over the weekend.... My first card tonight is based on the sketch from this weeks Flutterby Wednesdays Challenge. 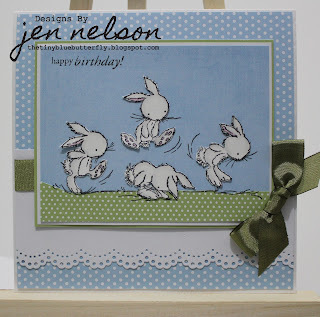 I'm also entering this into this week's Simon Says Stamp Challenge - It's Your Birthday. Here is the card. The image is LOTV's Bear and Butterfly. This is the first one I ever bought from them and I've not used it for a while but thought it was perfect for this. I've coloured it in with promarkers ( Tan, Cinnamon, Cocoa, Denim Blue, Pastel Blue, Rose Pink, Blossom, Ice Grey 1 & 5 and Meadow Green). I've used my Faber castel oil pencils and sansodor to give a little shading and the butterflies have a little bit of aptly named butterfly kisses diamond sparkles on them. 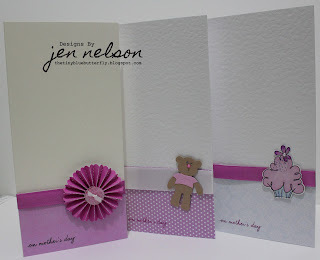 The papers are Shabby Princess's Express Yourself collection and the Seam binding is pink tulip from The Ribbon Girl. It'f finished off with a sentiment off one of the clear Penny Black sets. 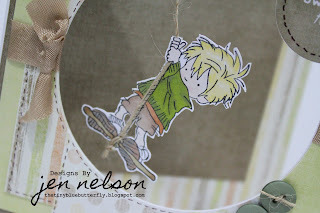 Papers are from Shabby Princess again (Express Yourself Collection - I'm loving these) and I have used the lovely brown to cut out the top layer from the die, I then ran a sanding block over the pieces to give a distressed look. 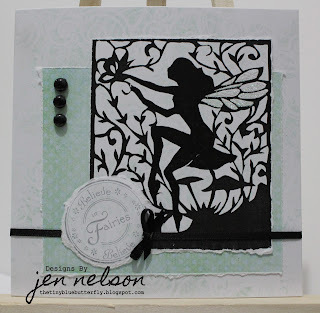 The under layer was cut out of a flowery patteren paper. 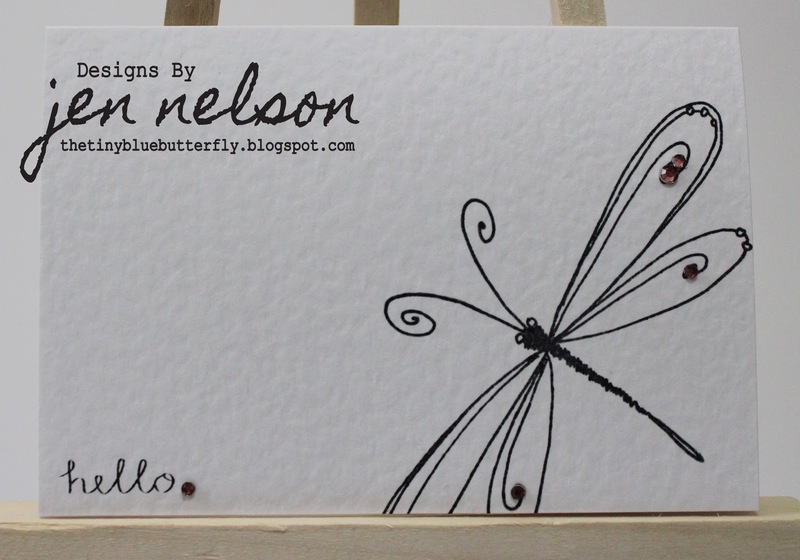 I printed a sentiment in chocolate brown onto the blue card using my PC (Font is homemade apple pie), and finished it off by using pinfair to lift the butterfly away from the page. The ribbon is from my stash and the pearls are from Hobby House. 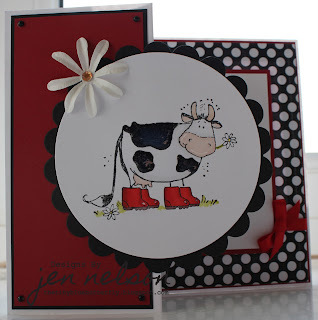 So on Sunday I picked up some new pro-marker card from Anna Marie Designs at Sincerely Yours @ Leigh. I used it yesterday for the Man of the Match stamp but wanted to test it with a digi image and my pro-markers together. It's perfect timing for this weeks Passion for Pro-markers challenge which this week is a sketch by Gro. Here is my card. The image I'm using is Pink Petticoats Cupcake Stand which was new out last week. Pro-markers are ice grey 1 & 3, berry red, lipstick red, orange, burnt orange, duck egg, cool aqua, buttercup, tulip yellow, marsh green, olive green, tan, cinnamon, cocoa and blender (wow that seems a lot for such a small image!). All the papers are from the promise collection from Shabby Princess (free yippee), the sentiment is from Pink Petticoat Sweet Treats (came on offer with image so I couldn't resist), and the ribbon is one of the Smirk 99p rolls, its a lovely soft grosgrain so easy to tie bows with. It's finished off with a single pearl. I'm on a roll tonight and I'm here with my entry into this weeks Cards For Men sketch challenge and CES #27 Cards for Men. This card is for one of the lads at work's birthday tomorrow. So here is the card. 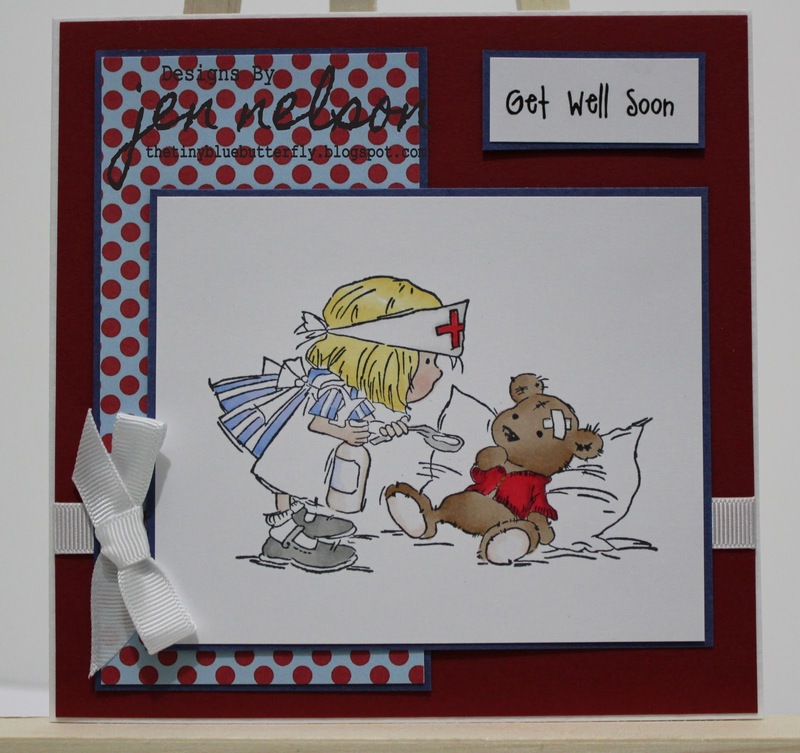 I've use a Papermania image and coloured in with promarkers ( Cool Grey 3-5, Lipstick red, berry red, Burgundy, almond, dusky pink, buttercup and mustard) and then cut around it leaving a very fine border. I've used the Promarker card I picked up from Anna Marie designs yesterday and no bleeding (yippee!!!).. Following the sketch I have used Pink Petticoat papers from the Big Fella collection, and on the stripe I imported it into word and layered it with white writing so it would leave a void in the stripes. I have then gone around the letters with a black fine liner in a dash fashion to make it stand out. The Footballs are made using a wood ware clear stamp from the sports set that have been stamped using stazon onto white shrink plastic. Yes I know more butterflies, but what more can you expect from a blog with it in the name. This simple number is my entry into this weeks Clean & Simple FTL 131 Sketch. I wanted something simple but with some dimension. Here is the card. Papers are Pink Petticoat ( Quartz & Pink, Pretty Pink damask). 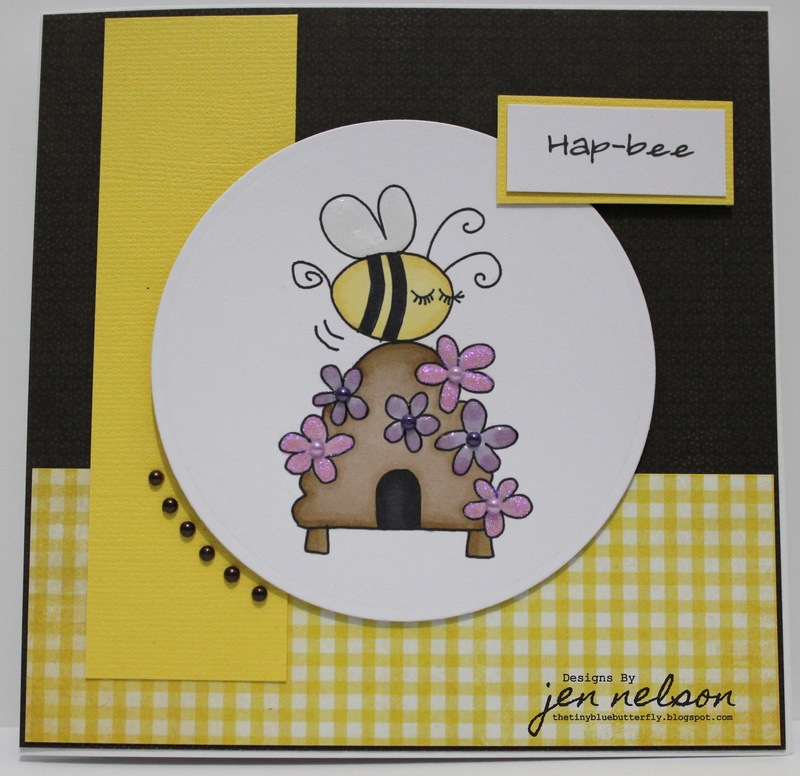 The Die is a Sizzix - Butterfly #12, and the gems are Hobby House. The sentiment is from a papermania clear wedding phrase set, which is stamped on scrap first to remove most of the ink, and then stamped straight onto the pink. 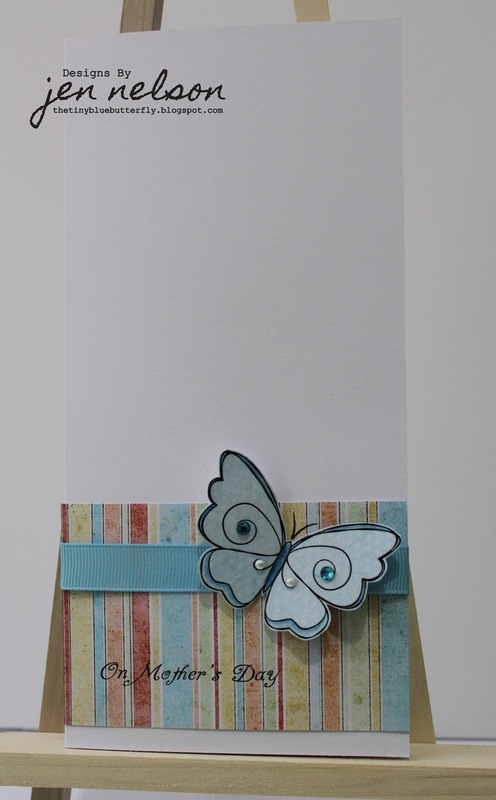 The Butterfly has been cut into a card blank by overlapping part of the wing using Sizzix Bigz Butterfly. I have then cut out 2 full ones, one in blue and the other in spotty Pink Petticoat paper. The spotty one is lifted away but the photo doesn't show this very well. I've finished it off with a little ivory lace (from a making memories pack I got in the sale) and some pearls from The Hobby House. I'm entering this card into the following challenges. Penny Black Saturday " Green", Stamp Somethings "Something Cream & Green", Colour Creates #66 " Green/Brown/Cream/Black" and The Shabby Tea Rooms "Luck of the Irish". Using a 6x6 card blank I folded one half in half using my Hougie Board and then split this side roughly 2/3 and 1/3 to give a "Split Easel" ( not sure if this is the terminology or if anyone has actually done this before but hey I was feeling creative). I've used an image from Pink Petticoat called "Baby Buggy Boy" and coloured this simply with promarkers ( Almond, Pale Pink, Lilac, Lavender and Amethyst). The Papers are all Pink Petticoat ( Lilac Dotty and Sunshine Washed Damask). 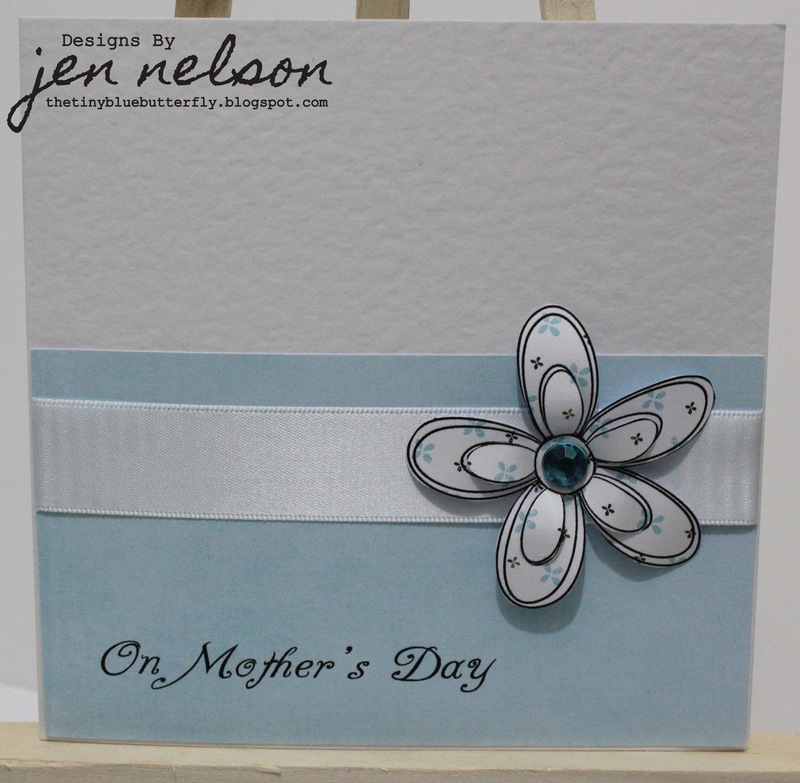 I've finished it off with a printed sentiment and some Seam Binding from the Ribbon Girl. The Buttons are American Craft that I picked up in the Hobby Craft sale. I love Saturdays even more now I wake up to a new Less is More challenge every week to get my creative juices flowing.... 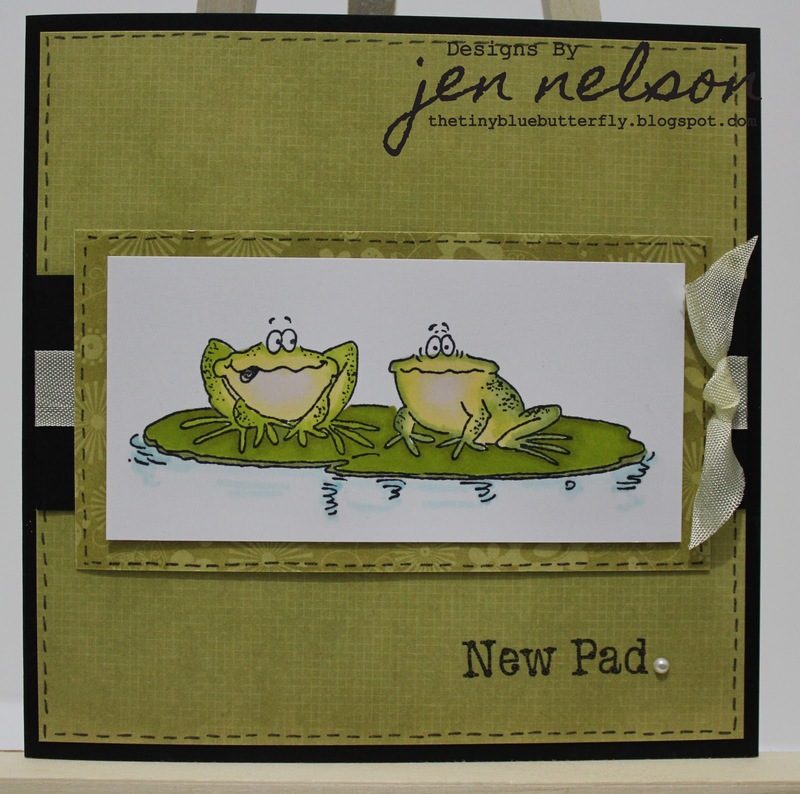 This week it's a One Layer Card (OLC) with the theme of "Off the Edge". I really couldn't decide on a colour way Black on White or White on Black... 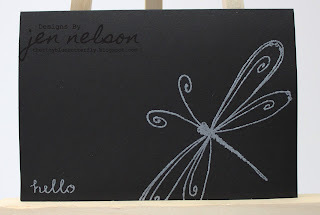 So I did Both.... here is the black (sorry about the photo)..
On a C6 card I've used a simple "Hello" sentiment from a Sizzix stamp set - France, the Dragonfly Stamp is from Dimension Fourth and I have heat embossed with Silver Pearl Heat it Up powder. I know this this isn't officially a OLC as I've added some gems to it lol. I've used the Teddy with Bouquet image which is one I have had a while and is far too under used. I've coloured this with my promarkers ( Blossom, Buttercup, Orchid, Rose pink, Ice grey 1,3,4, yellow, tulip yellow, marsh green, amethyst and cerise. I've also used the blender). 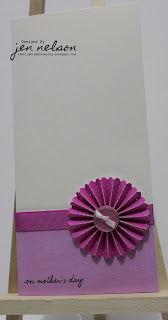 The Image is mounted on to Bazzil Bling cardstock and the stripe is Pink Petticoat "Pinstripes" in silver. I've finished it off simply with some white ribbon and a bow and a sentiment printed from my PC ( font is adorable). 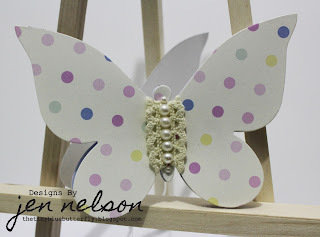 I've used a simple butterfly stamp I picked up in the bargain bin at Hobby Craft after Christmas (sorry I don't know the make), and heat embossed it with Sea foam White Heat It Up powder. This has been mounted onto teal blue (Nitwits Gingerfella collection) and yellow papers (My Mind's Eye True Blue Collection) which I have distressed at the edges using those plastic templates you used to get from Anita's about 7 or 8 years ago (way before the invention of nestabilites). 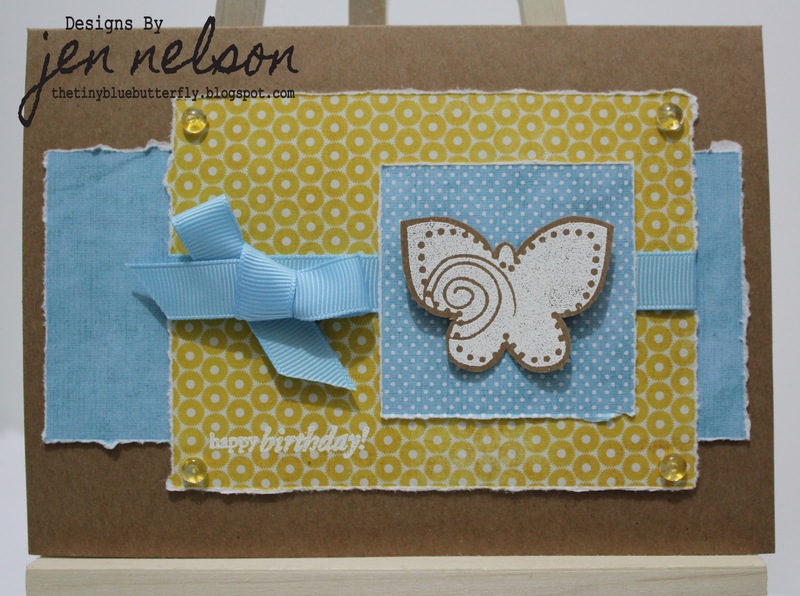 This is mounted on a Kraft card blank from paper mania and I have finished it off with some ribbon from the Smirk range, some gold dew drops from The Ribbon Girl and a happy birthday sentiment from Penny Black birthday clear set. I have colored the image in with promarkers of course (Antique pink, dusky rose, pale pink, lipstick red, pear green, grey green and tea green, blender) and cut out the image with my nesties ( second largest circle). The image is finished off with a little glitter and then mounted onto a lager circle cut from my new My Mind's Eye papers that arrived from the nice postman just this morning. The collection is Tickled Pink 6 x 6. 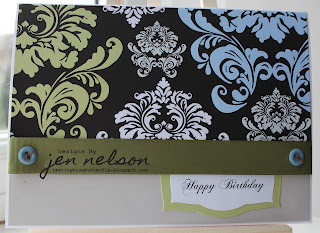 I've then used more of the same collection for the background paper (No pink petticoat papers today I'm afraid). It's finished off with a little white organza ribbon and a couple of pearls ( No bow today which is very unlike me lol!!). 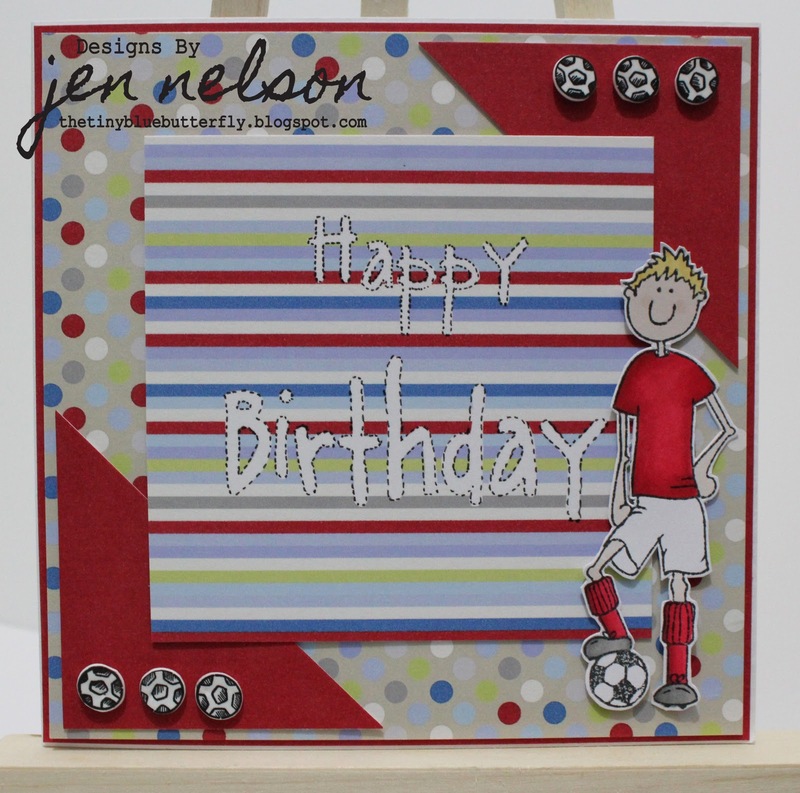 I hope you like it, this will be a birthday card for a colleague of mine so I hope she does too.. I've coloured in the image with promarkers (Cinnamon, tan, cocoa, almond, sunkissed pink, cobalt, blue pearl, cool grey 2& 4, red, burgundy, buttercup and mustard and the blender). 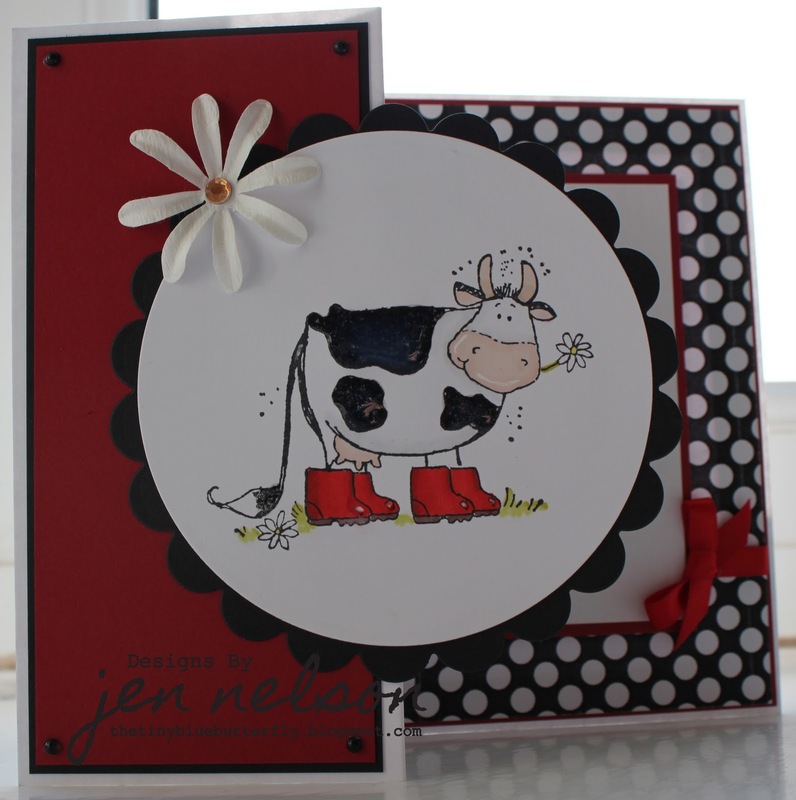 I have mounted the image onto Navy blue card and used red card and Pink Petticoat spotty paper from Big Fella collection for the rest of the sketch's areas It's finished off with a bit of white ribbon and a sentiment printed from my PC ( font is "A Little Pot"). The image is Little Claire's Cupcake tree and I have coloured it in with my promarkers (Blossom, Pink carnation, poppy, pear green, marsh green, sandstone, cocoa). The papers are from Love Letters collection by First Edition and I have used Rose petal seam binding from The Ribbon Girl. The pearls are from Hobby House ( Green to go) and the button is from the pastel bag also from Ribbon Girl. I have coloured in the image with my promarkers (berry red, poppy, red, shale, tulip yellow, pear green, ice grey 1, almond, sunkissed pink, tan, blender), and cut it out with my nesties. I also used glossy accents on the Black markings to give it a little dimension. On the back of the card I have used paper by Pink Petticoat (Big fella). The red and black card is from my stash. I have added a little ribbon and a small bow and finished off the front with a few black pearls and a single flower from my stash. The image is from Pergamo's Flower Girl set. 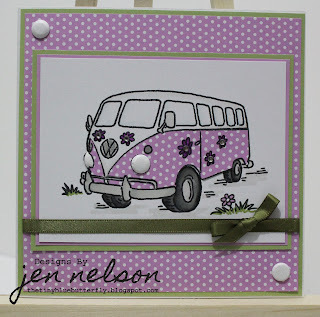 I really struggled with this stamp as they don't work well on my rock a blocks as they are not very "Sticky". I honestly nearly sent them back, I was that disappointed. I have used my promarkers (Lavender, warm grey 5, blender, cool aqua, mango, mustard, amethyst, warm grey 3, apricot, caramel, buttercup, putty, orchid, dusky pink, marsh green, khaki, tan, pear green, yellow, sunkissed pink), and mounted using Pink Petticoat papers (Pretty Doodles in Lavender and Plum and Leaf green solids). I have added a touch of clear glitter to the water (but thinking about it should have used glossy accents). 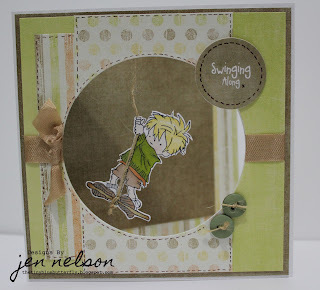 I've used some club green ribbon and the sentiment is from LOTV. Pearls are from The Hobby House. 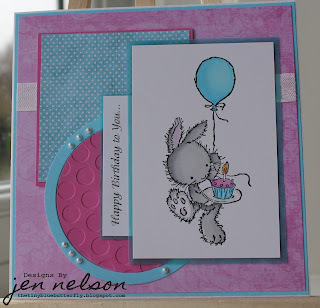 One last card for today, this is my entry into the Less is More Challenge, which this week is "Pastels". I've put together a simple birthday card for a colleague, and thought it fit in well with this week. Here is the card. 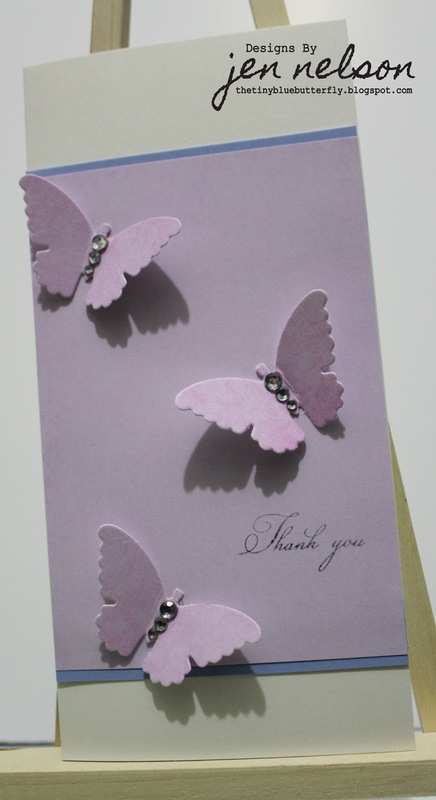 I've used a slightly sparkly card blank from craft creations, The papers are Pink Petticoat (Are you getting bored of me saying this yet :-) ? ), I actually purchased this one today out of the retiring section, the spots are from the "Sweet Sundaes Collection". 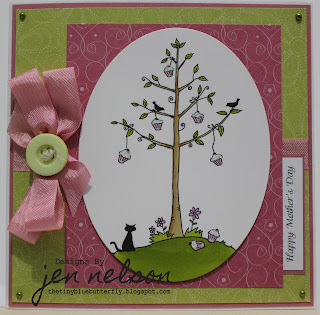 I used a simple printed sentiment and cut this out with nesties and added a pink pearl from Hobby House, and then used a slightly brighter pink ribbon ( Dovecraft) as an accent. The paper is all Pink Petticoat from the Big Fella collection, the Ribbon is Club Green, I've printed a sentiment from my PC and then used my nesties (label # 3) to cut out the wording and a background layer. The buttons really are vintage, and are from a stash my mum gave me when I asked if she had any buttons, only to be given about a 1,000 all sorted by colour that she had removed from garments before getting shot of them lol. I have coloured in the image with my promarkers (Ice grey 1,2,4,mulberry, blossom, sky blue,cool aqua, cool grey 1, gold & mango), and mounted the image onto turquiose vellum. 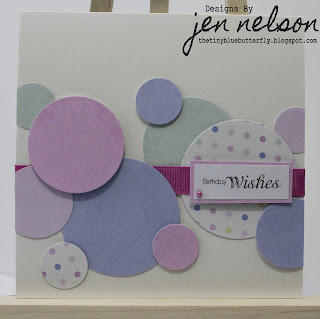 The back ground papers are Pink Petticoat (orchid damask) and Nitwit (Teal dots - Gingerfellastoo collection), and I have run (admittedly upside down) the circle though a cuttlebug embossing folder after cutting out with my nesties. The circle is finished off with a few pearls from Hobby House and the sentiment is printed from my pc (adorable font). The image is lili of the valleys Thomas with bunch of flowers, and I've coloured in with promarkers ( Ice Grey,1,2,4, Blossom, Pink Carnation, Blue Pearl, China Blue, Buttercup,Tulip Yellow & Marsh Green). 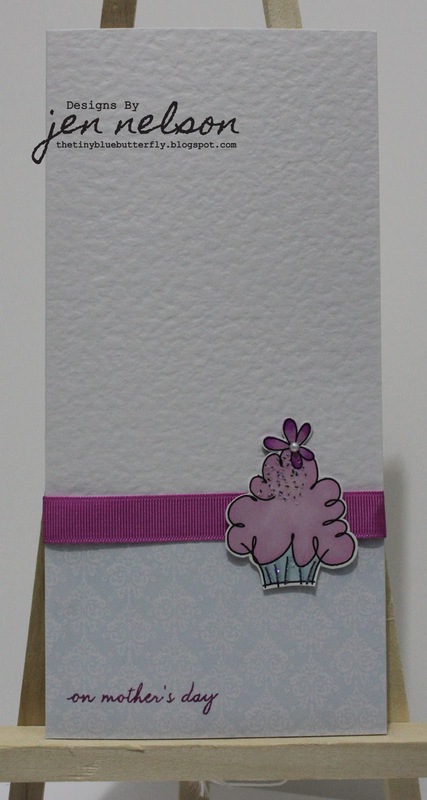 Paper is Pink Petticoat (Orchid Damask from Old Fashion Girl Collections, Quartz Little Big Dots and matching solids). The Flowers are finished off with a little glossy accents, and I have used white club green ribbon for the bow. I have finished it off with a couple of pearls and some card candy. The papers are Pink Petticoat (Perfect Papers Collection), I've simply added a couple of pearls from hobby house and some ribbon and cut out the sentiment with my nesties. 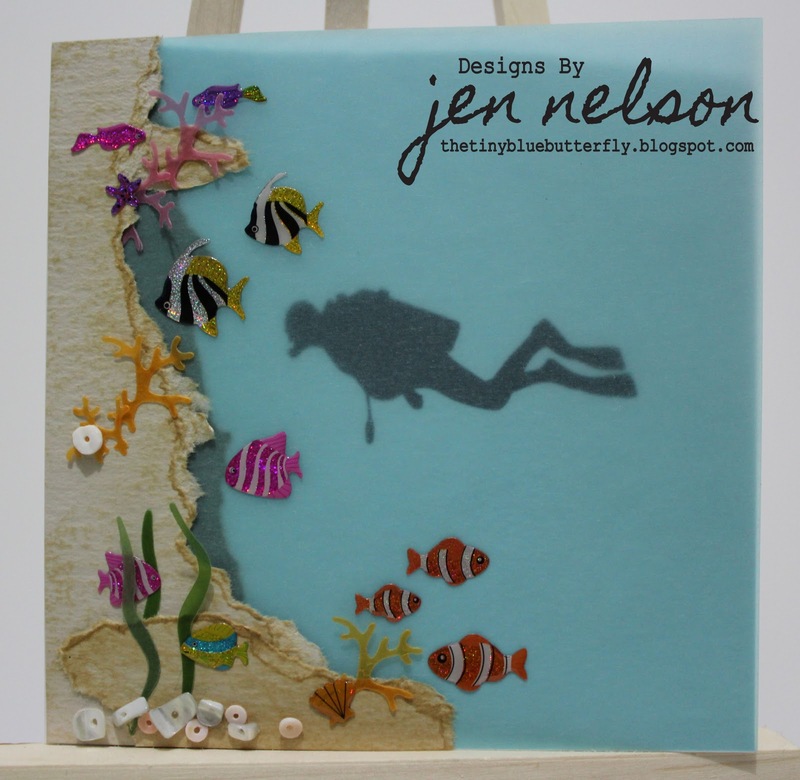 I've used a clip art of a diver (which has been tidied up in photo shop) and printed this directly onto the card blank. I have then used various scraps from my paper stash, distressed with Antique Linen Distress ink, to build up the rock face both over and under the blue vellum (Making Memories). This has been finished off with coral cut with a Sizzix die from The Craft Bug ages ago (fish tank plants from the fish bowl set) and some sparkly fish stickers I bought specifically for something just like this from Mei Flower. I've also added some coral beads that I got from the bargain bin at the craft shop in the Lowry. The card I am sharing today is one of my all time favourites... a paper pieced spitfire! I think this has taken me about 3 hours but I love it!! It was made specifically for my boyfriends dad ( hence why I have spent so much time on it) So here it is! 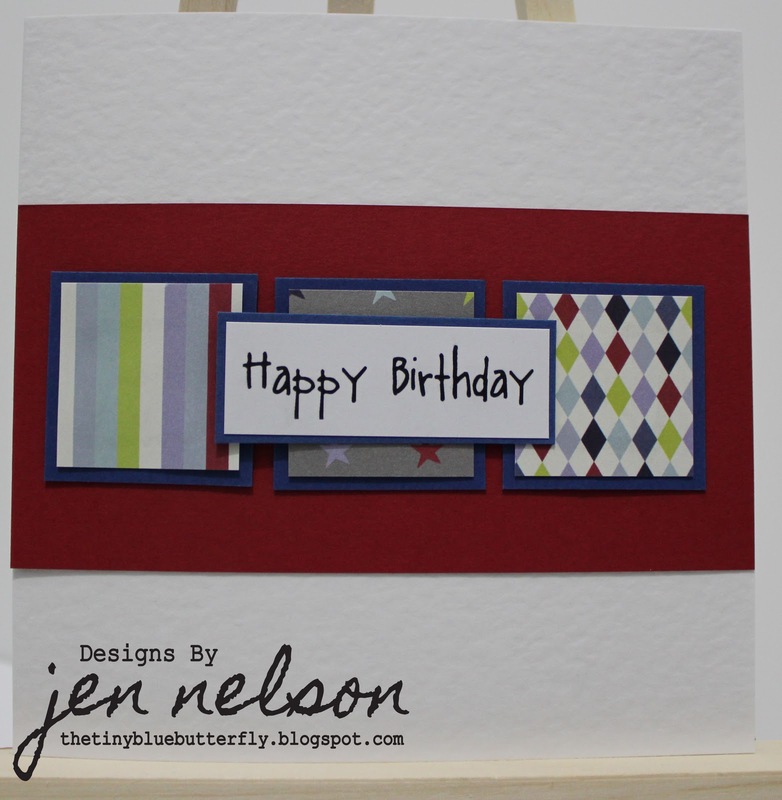 This card was taken from a photograph, which I turned into a template and then matched up each layer. The camouflage is done using a pro marker (cool grey 4). The backing paper is Pink Petticoat and the rest from my scrap box, but most likely bazzil of some type. I printed the greeting directly onto it and finished off with the ribbon. It is then double mounted on blue and green card.